Bangladesh Denim Expo is a nonprofit organization in Bangladesh. 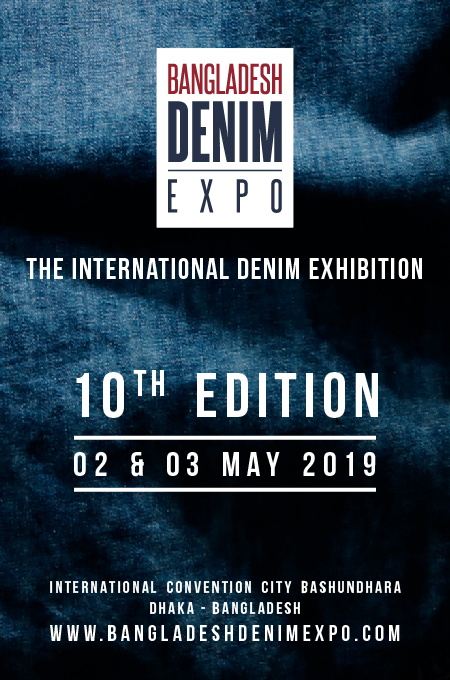 The mission of this Expo is to increase denim business in Bangladesh by showcasing the potential, the latest trends and hottest fashion in denim production. Our vision is to improve the living standards of the people in the country by creating jobs and business opportunities. If you feel inspired by our activities, we invite you to become an Ambassador of the show. Our dream is to make Bangladesh a true hub of the jeans-world and to improve the working conditions and lives of Bangladesh’s huge fashion workforce. It is an honorary role without obligations and for a limited period of time. Ambassadors are high-caliber, high-profile members of the denim community, perhaps a Managing Director,CEO, Director. They are the gatekeepers of knowledge and progress; the happy few who decide the future for the next generation and who are ready & willing to make a positive difference. We believe in the work we are doing at Bangladesh Denim Expo, and about the new future we can create for our country. But change will only come if it is recognized and embraced by people in the international community. By endorsing our work, Ambassadors make a very real contribution to the development of Bangladesh. If you wish to be a part of our noble efforts, please send an email to: info@bangladeshdenimexpo.com.